Shoes are the basic element of any style. Upgrade your wardrobe by indulging in sports inspired casual shoes for women at Sun & Sand Sports online. Create your everyday look with high-end labels available from our extensive collection of women’s casual shoes. 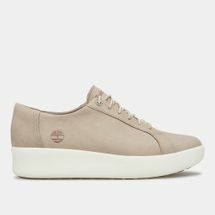 A wide range of sizes, colours and styles are available in canvas shoes, leather shoes, and synthetic leather shoes from popular brands such as Nike, adidas, Skechers and more. Add them to your cart and have stunning styles for your feet. Let down your hair and escape the 9-5 with our women's comfortable, casual shoes. Seamlessly blending casual style with tremendous support, these women's shoes are equally at home on the town or on a countryside weekend getaway. As with all of our women's footwear, every pair of women's casual shoes is crafted from superior materials to ensure many seasons of worry-free wear. Whether you're trekking the urban jungle, running between meetings, or spending the day at your favourite park, Sun & Sand Sports offers women's casual shoes in expertly-constructed lace-up and slip-on styles including sneakers, slide sandals, strap sandals, and more. Stride towards your goals with picks from the Sun & Sand Sports collection of casual shoes for women. Begin your online shopping journey with us today and have your order delivered straight to your doorstep. We strive to prioritise the simplicity and convenience of online shopping, so we deliver your online purchases to your home in Riyadh, Jeddah or anywhere in Saudi Arabia, KSA. Stay updated with the current releases and collections by subscribing to the SSS blog: blog.sssports.com.